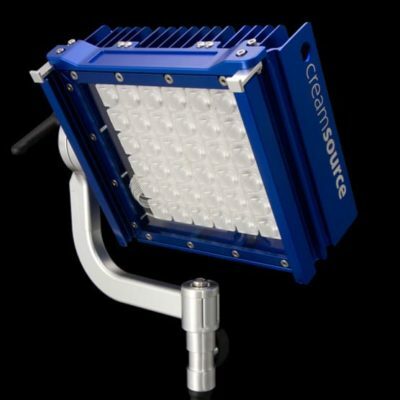 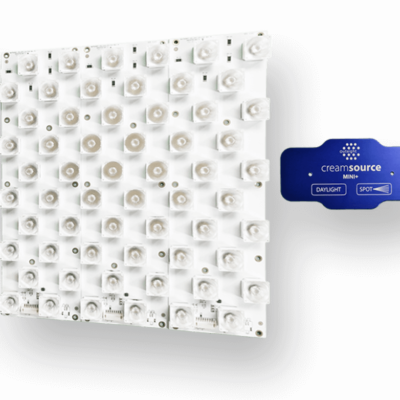 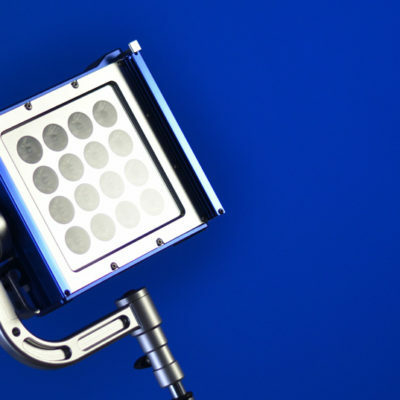 The Creamsource Micro Colour features calibrated red, green, blue and white LEDs (RGBW) – so as well as producing beautiful white light in any CCT from 2,200K to 15,000K, it also has green/magenta adjustment and can produce vivid, saturated colours. 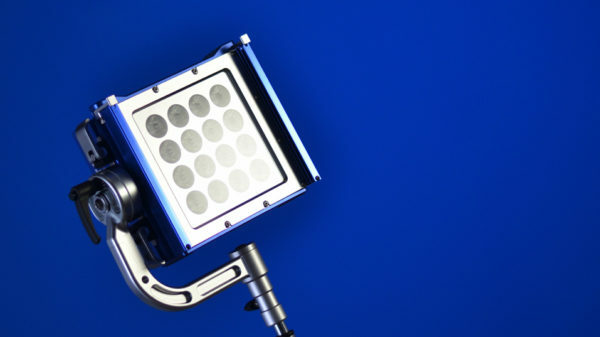 The Micro Colour has a 20 degree beam angle for maximum punch, fan-free cooling for silent operation, and is water resistant so it can be used in all weather (IP65 rated). 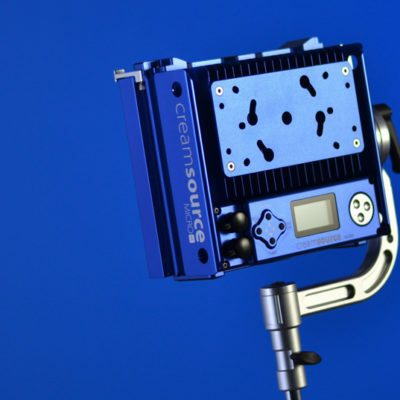 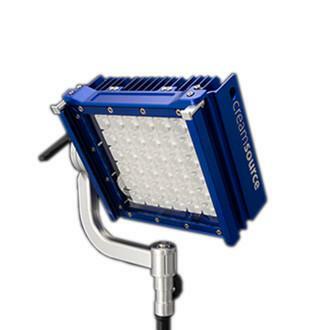 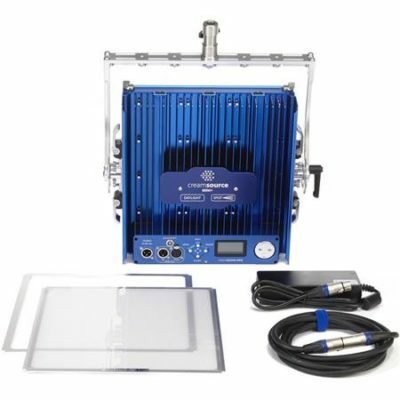 It is lightweight yet rugged, quick to rig and its compact form factor means it can squeeze into small spaces on set. 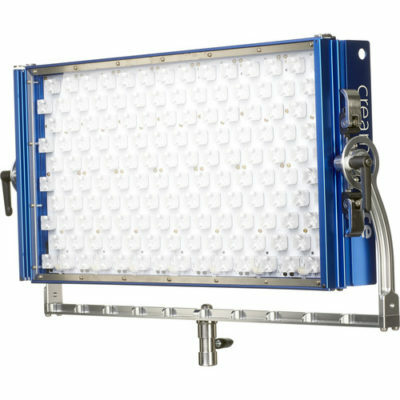 The LED engine has been specially crafted to provide exceptional white light colour quality, with typical CRI and TLCI values above 95. 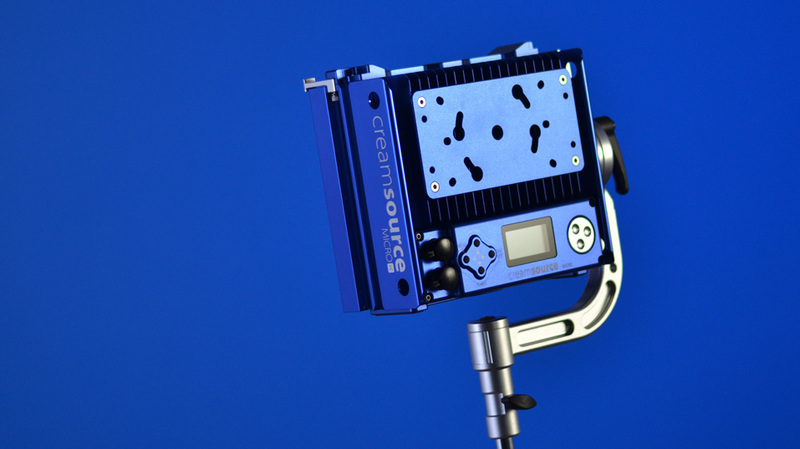 There are three main different rigging options: Quick release Yoke, Kino Flo Style Twist-on Mount, or single 3/8th Thread. 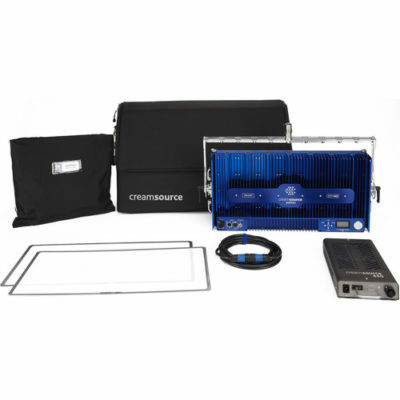 Numerous accessories are available, including a choice of V-Lock or Gold Mount style quick release battery plates for easy portability, a Snap-Bag light-bank from DOP Choice, Outsight’s high efficiency holographic lens system, and a hardwearing soft travel case. Yoke Removable (Quick Release System).